Earlier this month Chrysler responded with a big fat “No” to the National Highway Traffic Safety Administration’s request that it formally recall 2.7 million older model Jeeps, over regulator concerns that the vehicles could catch on fire when hit from behind. Today the car company announced that it’s relenting, and will in fact, institute the recall the NHTSA wanted. Without going into any details of what exactly the company discussed with the NHTSA, Chrysler said today that it had “resolved its difference” with the agencies and will reinforce the rear-mounted fuel tank in certain Jeep SUVS. 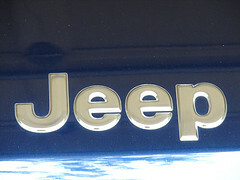 At issue are Jeep Grand Cherokees made between 1993 and 2004 as well as Jeep Liberties from 2002 to 2007. But despite the fact that the NHTSA says the cars are defective, Chrysler maintains that its vehicles are safe. It’s probably a good call on Chrysler’s part to agree with the voluntary recall, as its customers might have otherwise lost trust in the company for refusing to cooperate with the NHTSA.